I know the lines aren't completely straight, but hey... I did my best and that's what matteres. So I did stripes on my ring and middle finger and a small heart on the outer part of my thumb nail. I used OPI "Can't find my Czechbook" as my base. 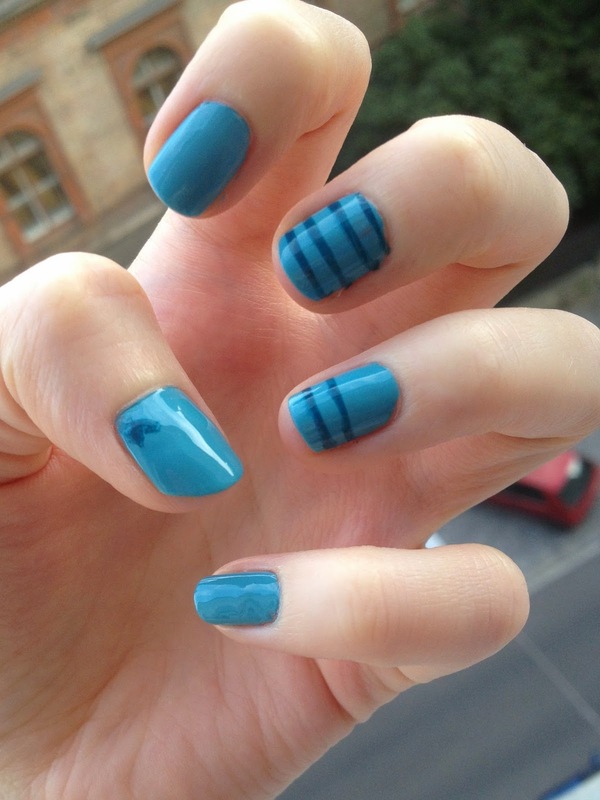 Hope you liked it and inspired you to try something new for your manicure this week.